This publication has been prepared under the Multi-Annual Programme 2015-2019 The Polish and the EU agricultures 2020+. 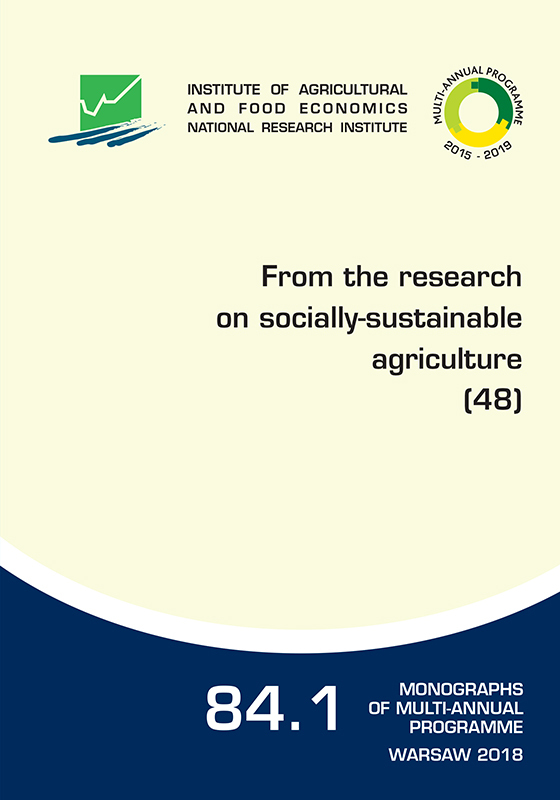 Challenges, chances,threats, proposals, within the subject Dilemmas of the development of sustainable agriculture in Poland, which involves three research tasks, as follows: Global and national conditions of the sustainable development of agriculture. Economic assessment of external effects and public goods in agriculture. Sustainable agriculture and food security.